Model Boat Display The model boat display is continuing every week day from 1-4pm at SUF Lodge #82 on Patterson Street, across the street from the Bay Roberts Fire Hall. Victoria Smith, Melissa Dawe, and Kalysha Snow from the Bay Roberts Cultural Foundation are guides and offer refreshments and entertainment. Victoria Smith and Melissa Dawe at SUF Dawe Lodge #82 with Handcrafted Models in Background. 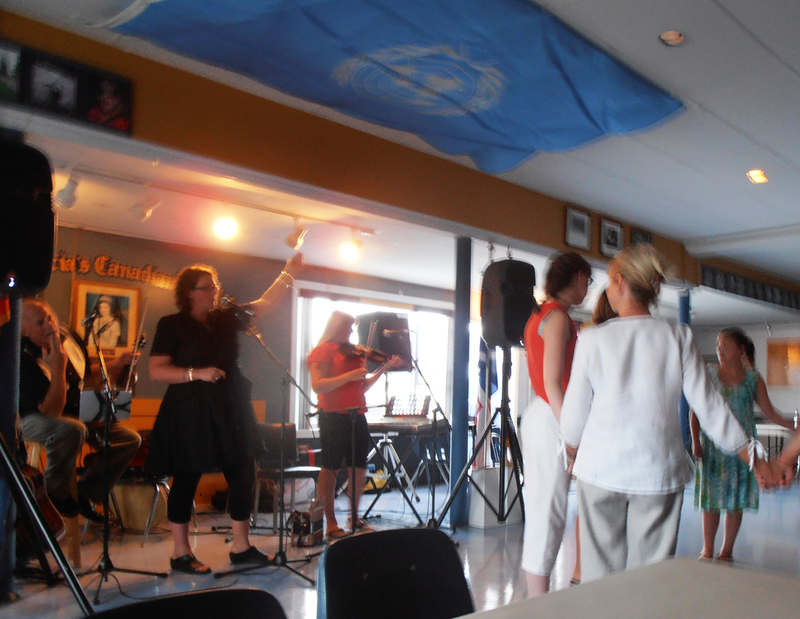 The Three Sisters – Traditional Newfoundland Musical Performances sponsored by the Bay Roberts Cultural Foundation. The performances will be held near the Mad Rock Cafe or at the Three Sisters on fine days. (A sign will be placed near the Mad Rock Cafe telling where the performance will be.) 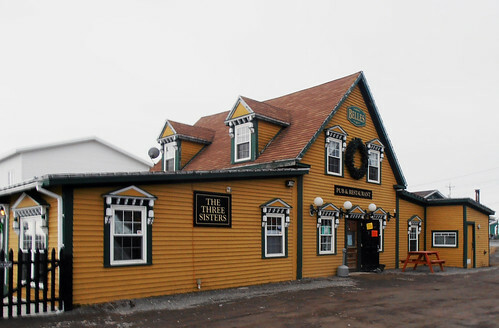 On rainy days the performances will be held at the SUF Dawe Lodge #82 on Patterson Street, across the street from the Bay Roberts Fire Hall on Water Street. Three Sisters with new telescope on the Shoreline Heritage Walking Trail. 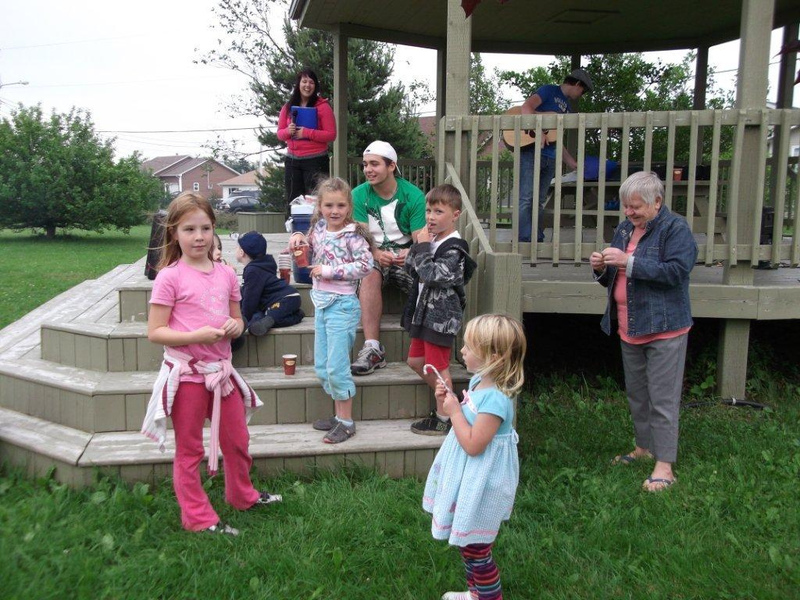 Weekly campfire at the Community Gardens at the Crossroads takes place, rain or shine, at 7pm. In good weather, it will be at the gazebo; and if there is rain, it will be held in the cookhouse. Thomas Amusements at the parking lot of the Bay Arena and Bay Roberts Mall. 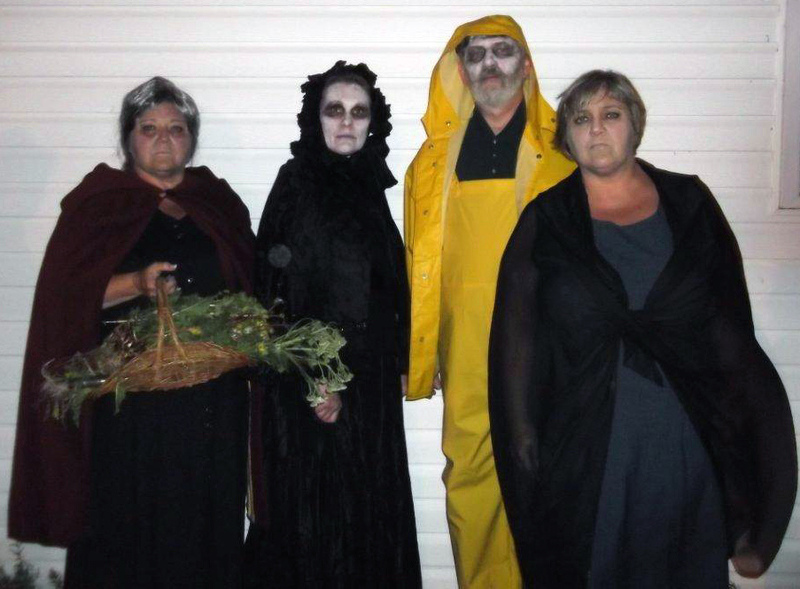 “The Haunting,” A series of ghost and fairy stories enacted during a walk by the graveyards on Neck Road. Starting at dusk in the parking lot of Dashing Schomberg, Loyal Orange Lodge No. 45, Neck Road, Coley’s Point. 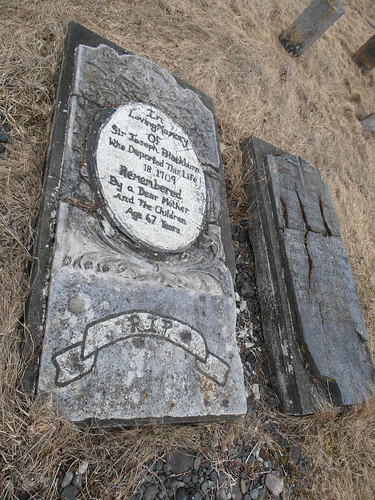 A series of ghost and fairy stories enacted during a walk by the graveyards. Music. Hot chocolate is served. Tickets: $5. Be scared!! Communities in Bloom Judges in town. 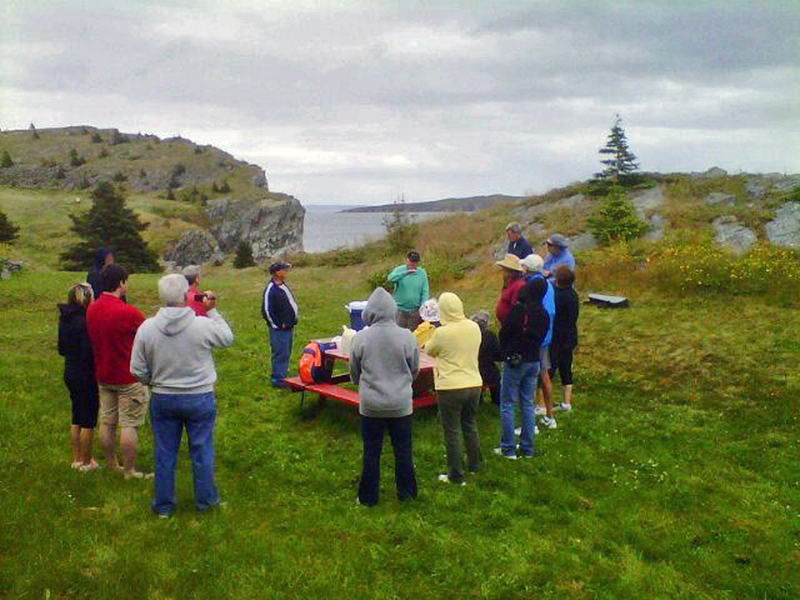 Walking Tour of Heritage Area from Cable Building National Historic Site to Site of Historic Fish Plants. Includes tour of the Cable Building including the Road to Yesterday Museum and the Christopher Pratt Gallery, Cable Avenue Municipal Heritage Area, LOL Victoria #3 Museum and Playhouse, SUF Dawe Lodge #82, and the site of Historic Fish Plants on Water Street. 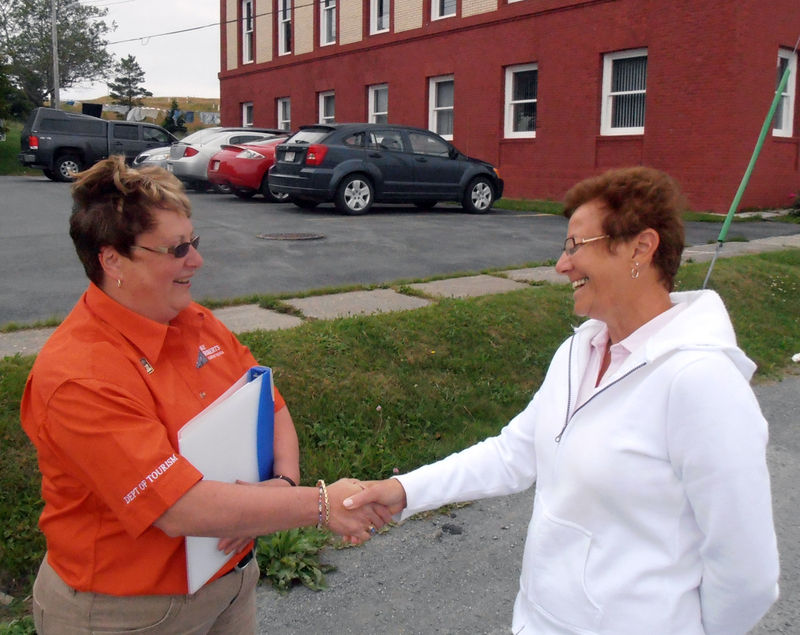 Lois Dawe, Tourism Officer, greets tour member in front of Cable Building. Experience a Traditional Newfoundland “Time” – Complete With Songs, Stories, Fiddle & Accordion Music, Soup Supper & an Old-Fashioned Square Dance. The Royal Canadian Legion, Branch 32, 108 Water Street. From the Conception Bay Highway, turn right at the traffic lights near Jungle Jim’s, across the street from Powell’s Supermarket. Continue to 108 Water Street to the Royal Canadian Legion and the Veterans Quay Marina. 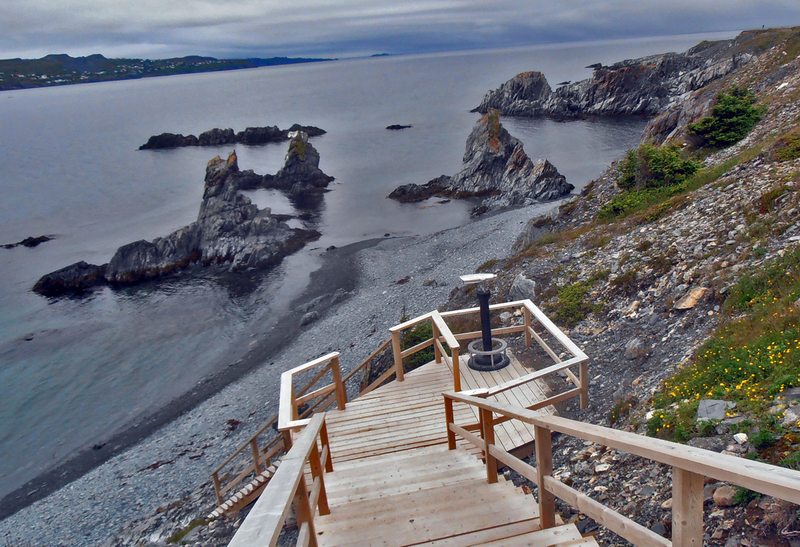 Shoreline Heritage Walking Trail in Bay Roberts East. Hike starts from the Crane’s Hill Access Point to the Trail at 1:30pm. It includes description and music, and… toutons. Mr. Herb Badcock tells stories to hikers. Placentia is a beautiful town that I have always loved. 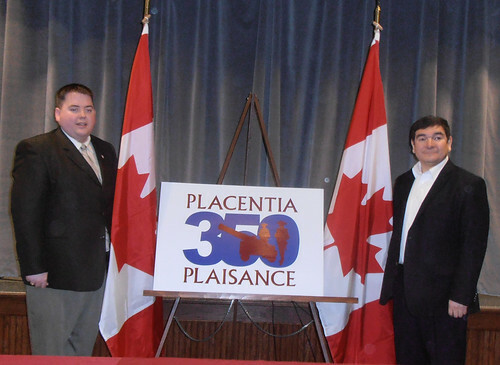 In 2012, Placentia is celebrating its 350th anniversary! The early French settlers called the town “Plaisance” – “the pleasant place” and it certainly is that and more. The town is located on a flat plain surrounded by towering hills, including Castle Hill, which is now a National Historic Site. On March 20th, on behalf of the Bay Roberts Cultural Foundation, I attended the announcement of funding for “Placentia Plaisance 350” by the Honourable Peter Penashue Minister of Intergovernmental Affairs and President of the Queen’s Privy Council for Canada on behalf of the Honourable James Moore Minister of Canadian Heritage and Official Languages. Perhaps, the event was a little taste of what is to come – a town crier in full costume, Peggy and Peter – the charming town mascots, guides in period costumes, and enthusiastic and happy organizers including Mayor Bill Hogan, Councillor Wayne Power, Rachelle Connors of Placentia Area Historical Society (PAHS), Elaine Murray and Winnie Berry of the Festival of Flags and proposed International Museum of World Peace, and Rhonda Power and the staff of the Placentia Bay Cultural Arts Centre. Preserved and protected historical sites and landmarks, located around the town, weave a rich story. 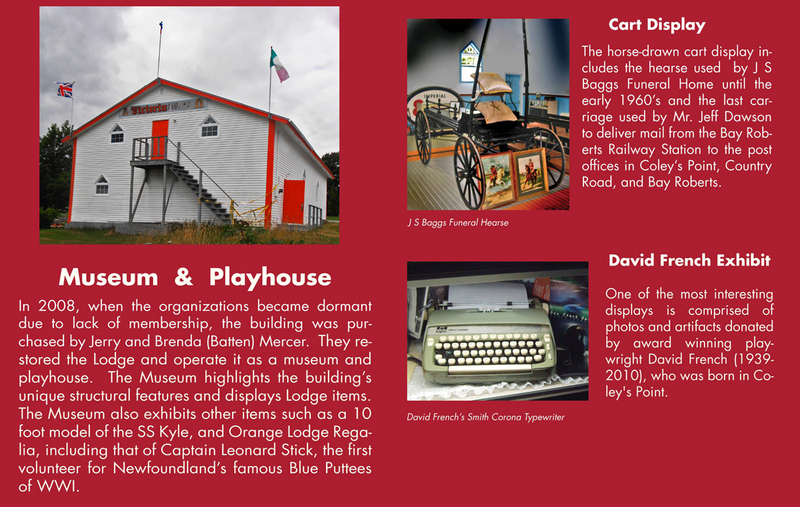 Castle Hill National Historic Site, the new Placentia Bay Cultural Arts Centre, the Placentia Court House, St. Luke’s Anglican Church and Cemetery, the Annual Placentia Regatta, the Placentia Heritage Trails, the Placentia Uncovered Archaeology Excavation, the replica of the French Fishing Chaloupe and the O’Reilly House Museum are all places to visit. Titanic – 584km or 365mi, originally uploaded by eracose. 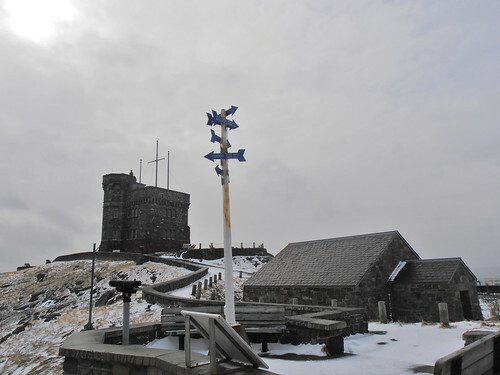 Directional Signs on Signal Hill in St. John’s, Newfoundland and Labrador showing the direction of the Titanic at the bottom of the Atlantic Ocean. On April 14, 1912 at 10:25 p.m. Cape Race (which is about 20km from Cabot Tower) received Titanic’s distress call – the letters C.Q.D.- and ten minutes later Titanic’s Phillips sent another wireless message stating Titanic’s position with the infamous added detail, “have struck iceberg”. At 12:27 a.m. (Newfoundland and Titanic time) on April 15 Titanic’s wireless signal abruptly ended and the last link with the land ended. Those who survived, credited the Titanic’s transmissions from the installed Marconi Wireless system with saving their lives. Cabot Tower is interesting for two reasons this year – besides the incredible scenery. 1. Survivors of the Titanic credited the “state-of-art” Marconi wireless room on the Titanic with saving their lives. In 1901, Guglielmo Marconi had received the first trans-Atlantic wireless message at a position near the tower, the letter “S” in Morse Code sent from Poldhu, Cornwall, United Kingdom. Cabot Tower is on the left. The last wireless message from the Titanic was received at Cape Race, about 20km from Cabot Tower. 2. 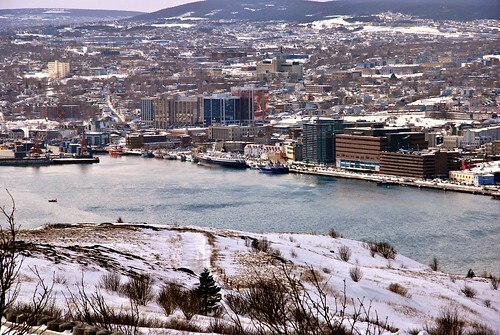 Construction of tower began in 1898 to commemorate the 400th anniversary of John Cabot’s discovery of Newfoundland, and Queen Victoria’s Diamond Jubilee . This year is the Diamond Jubilee of Queen Elizabeth II. Hibbs Cove, originally uploaded by eracose. 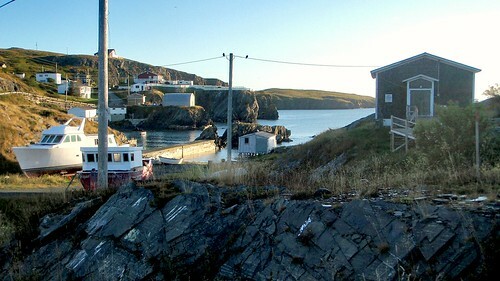 Port de Grave is one of the oldest and historically most successful fishing communities in Canada. Although there is evidence it is much older, its recorded history goes back to 1675, when the main planter in the community was Thomas Butler. In 1675, Thomas was living at Port de Grave with his wife and three sons. He employed 20 servants and owned five boats, 50 cattle and 20 sheep. Thomas is believed to be the grandson of Samuel Butler, who was a member of John Guy’s colony in Cupids Cove, which was settled in 1610. The French from Quebec led by Pierre Le Moyne D’Iberville attacked Port de Grave on January 23, 1697. Abbé Jean Baudoin wrote in his journal that they found 116 men, 14 planters, 20 boats, and 10 000 salt codfish. He commented: “This place is very beautiful.” Visitors to the community make exactly the same comment today! Artists and photographers love Port de Grave! 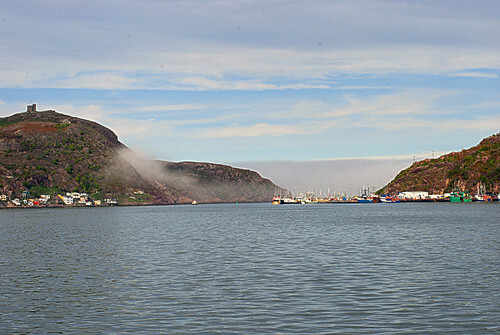 Organically growing from the cliffs on the shore of the Atlantic Ocean, Port de Grave is one of the most beautiful communities in Newfoundland and Labrador. 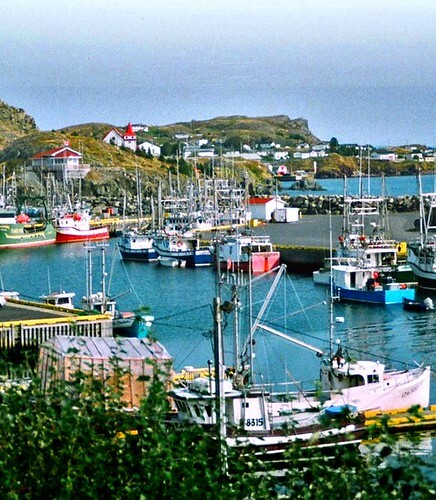 About 15 minutes from Bay Roberts, it retains its own distinct character and community spirit, while older people in the community still speak with their distinctive Port de Grave accent. 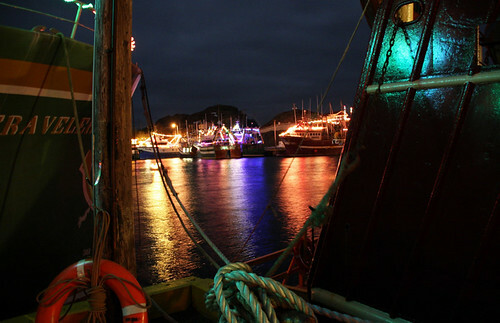 People from all over the province come to see Port de Grave Harbour during the Christmas season, when fish harvesters decorate their longliners with colourful Christmas lights. Here is Greta Hussey, 89 years old, reading a selection from her book. 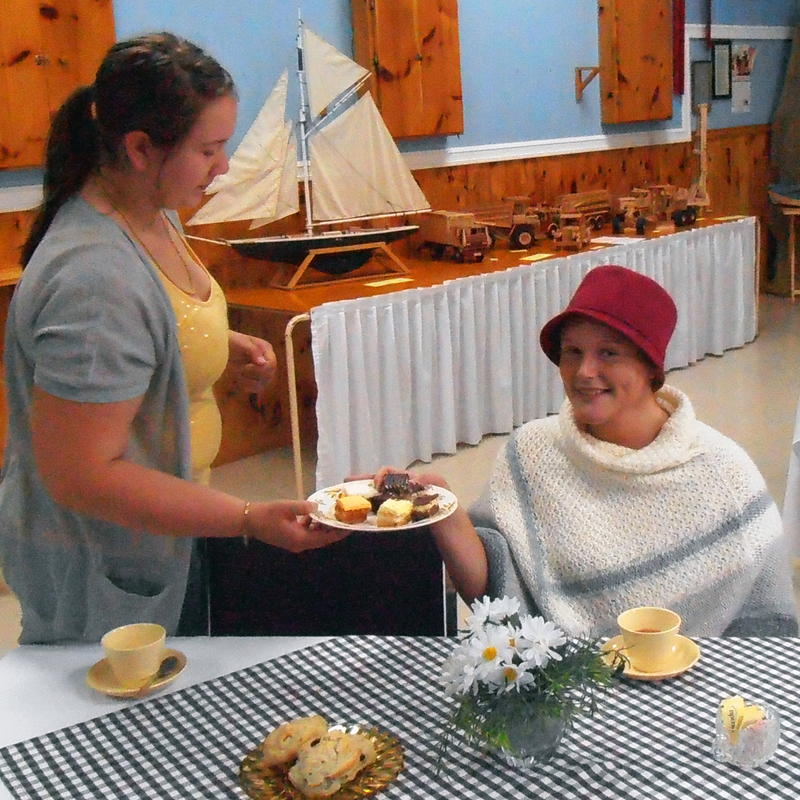 Theatrical talent was shining in the Northern Avalon this summer. 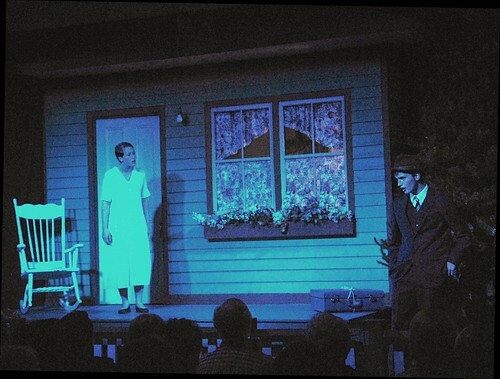 Cupids 400 and New World Theatre’s Indeavour Stage provided “once in a lifetime” entertainment, in which local performers participated. At the same time, community theatre which has been growing over the past decade in the towns of Brigus and Bay Roberts was thriving. 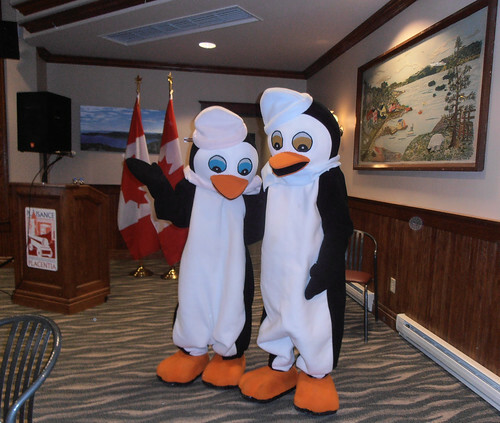 Bay Roberts had three separate successful shows. A Time in Pigeon Inlet, a Newfoundland “time,” featuring singing, instrumental music, storytelling and sketches (based on Ted Russell’s Tales from Pigeon Inlet) is in its third season. 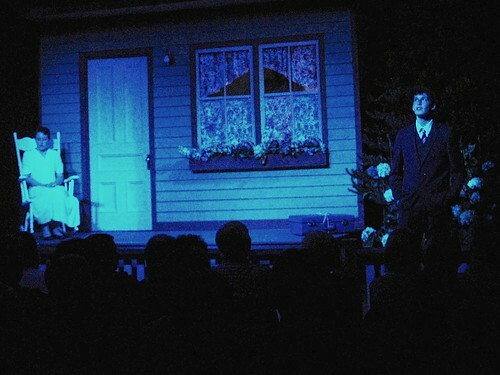 Salt-water Moon, a drama, was on stage at the Victoria LOL#3 Museum and Playhouse, the second year for a David French play produced by Jerry Mercer and directed by Marc Warren. And, for the first time, An Evening with the Gosse Family (which featuring singing, instrumental music, and skits) was held at Lodge McKay. 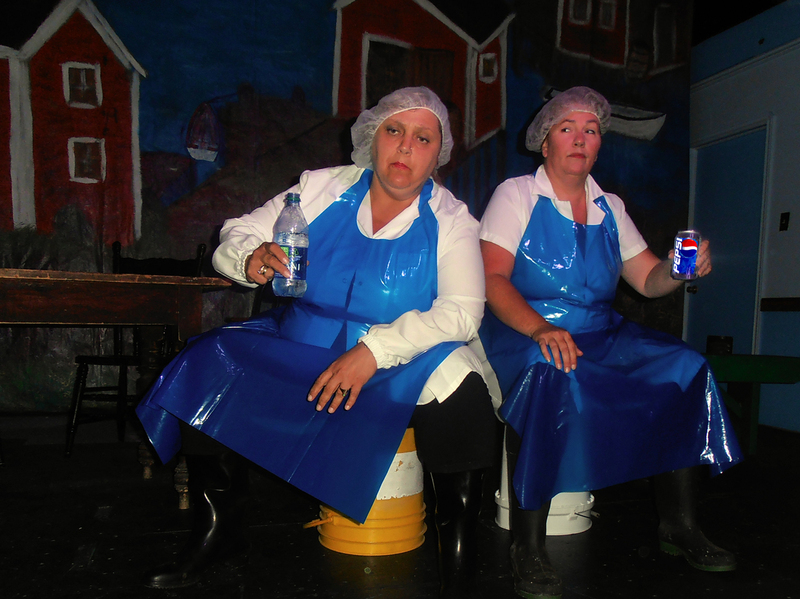 In Brigus, The Royal Shag Up, a comedy with music, is in its 9th sold out season. What is Special About These Shows? All four shows are first class productions with talented performers that have been enjoyed and praised by audiences from all over Canada. However, what is special is that each of these shows has a direct connection with the area. A Time in Pigeon Inlet, (pigeoninlet.ca) which features Newfoundland and Labrador’s first tradition bearer, Kelly Russell, and his family, is built around the stories of Kelly’s father, Newfoundland author Ted Russell, who was born on Coley’s Point. Salt-water Moon was written by David French, who was also born in Coley’s Point. David French moved to Toronto as a child when his father went upalong to work, but his plays are steeped in the history and mythology of this area of the province. Characters speak of the Bay Roberts Railway Station, the Klondyke, the Kyle, and the Labrador fishery. 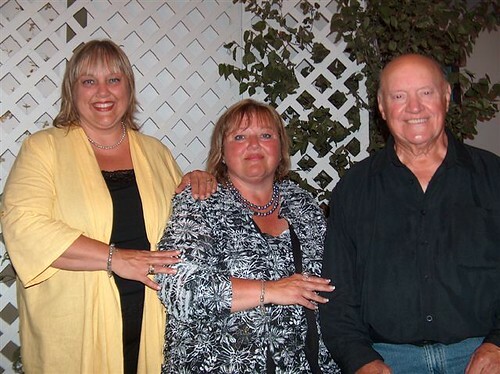 An Evening with the Gosse Family featured the Gosse girls, Sonya and Michele, who grew up in Bay Roberts, and their Dad, Lewis, who was a teacher at Ascension Collegiate for years. Ged Backmore, who was in the audience, was moved by the Gosse rendition of his composition, “The Sea.” in three part harmony. The Royal Shag Up has been collectively written over the years by the Baccalieu Players, people from the local region who act, sing and dance in the show. “Salt-water Moon” FREE September 24th and 25th during Canadian Culture Days. And as a bottom line, you have another opportunity to see “Salt-water Moon” for FREE at the Victoria LOL #3 Museum and Playhouse during Culture Days, September 24-25. You will be amazed at how certain words and phrases jump to life because the play is in context. Most people who have seen several different productions of the show say this one has a different twist which you will thoroughly enjoy. Friday night’s show is being sponsored by Moores Andrews Collins Law Offices. Saturday night’s show is being sponsored by Ruth Brown of Clarke Real Estate, Pam Norman of Exit Realty, Churchill’s Home Hardware, and Harbour International. Moon and stars in the sky. 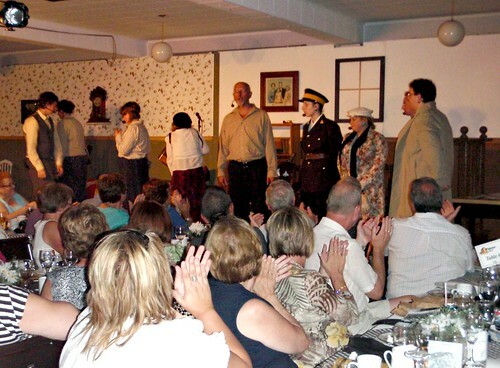 July 30 Brigus “A Royal Shag Up” Comedy Dinner Theatre. The Queen visits and with the help of our womanizing Mayor and torrid French dancer Fifi LaFlamme, unveils a lot more than a monument! 7:00 p.m. Friday & Saturday evenings through July & August. Choice of menu. Reservations essential. Ph. (709) 528-4044. “A Royal Shag Up” Comedy Dinner Theatre. The Queen visits and with the help of our womanizing Mayor and torrid French dancer Fifi LaFlamme, unveils a lot more than a monument! 7:00 p.m. Friday & Saturday evenings through July & August. Choice of menu. Reservations essential. Ph. (709) 528-4044. August 1 Carbonear 3rd Annual World Cup of Tiddly. Men’s, Women’s and Kids’ (12 and under) teams. 5 players per team (plus spare if needed). Pre-registration, rules and information on World Cup of Tiddly Page > > Registration also @ 1 pm Carbonear Recreation Complex. May bring own gloves and safety equipment. “Hooked on Tiddly” T-shirts will be available for $10. Fergus Island, originally uploaded by eracose. Fergus Island is near the beginning of the Shoreline Heritage Walk. It is not far from the beginning of the trail. Fergus Island is named after Scottish merchant John Fergus who carried on a large supply business in 1812. The island viewed from French’s Cove depicts the image of a Newfoundland dog at rest with its paws stretched in front of its head. Web Site Development (specializing in descriptive sites for organizations and small businesses), Project Management for Events and Internet Sites, Graphic Design, Instructional Design, Multimedia Design, Proposal & Report writing. Yaffles of Services · We Like to Customize.